Text message marketing and millennials are a match made in heaven. But, when reaching out to Gen Y shoppers, make sure you abide by these must follow rules. Millennials want instant gratification. Don’t make them jump through hoops to redeem an irresistible offer. No matter how amazing the promo is, if they have to spend 10-15 minutes pondering the call to action, they’ll just move on. It won’t be worth it, and they will look for a discount elsewhere, or simply won’t make a purchase. 2. Don’t repeat the same offer/promo code anywhere else online. Millennials are, by definition, digital nomads. They aren’t afraid to dig around online for the best deal. Let’s say you’re head of marketing at a large retail chain. You fire out a text message thats gives all subscribers 20% off their next order. Now, don’t be surprised if these same subscribers surf around on Retail Me Not or another popular coupon site, looking for a better discount. Knowing this, make sure text offers are exclusive to your VIP list, and boast the best reward. 3. Use pictures when applicable. If possible, fire out an MMS message that really sells your product. Millennials are used to visual marketing tactics. Think about it. Instagram is one of the most popular social channels with millennial users. And, to take it one step further, this platform is solely focused on photo sharing. Capitalize on this concept by using our MMS feature. Keep in mind, your offer will get forwarded and shared. Millennials are tech savvy. If the deal is good enough, they will share it with their friends. Want to prevent this from happening? Take advantage of our unique promo codes feature. 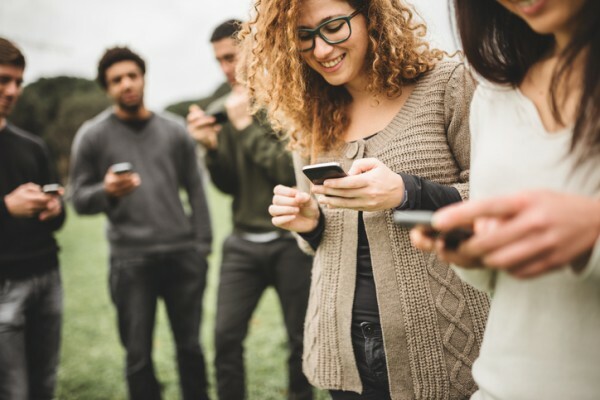 Ready to start texting your millennial customers? Head over to our pricing page, and sign up for a free plan. Got questions? Give us a buzz at 1.800.688.6290 or shoot us an email, info@slicktext.com. Millennials respond best to this mobile marketing tactic, so don’t miss out on the opportunity to engage.